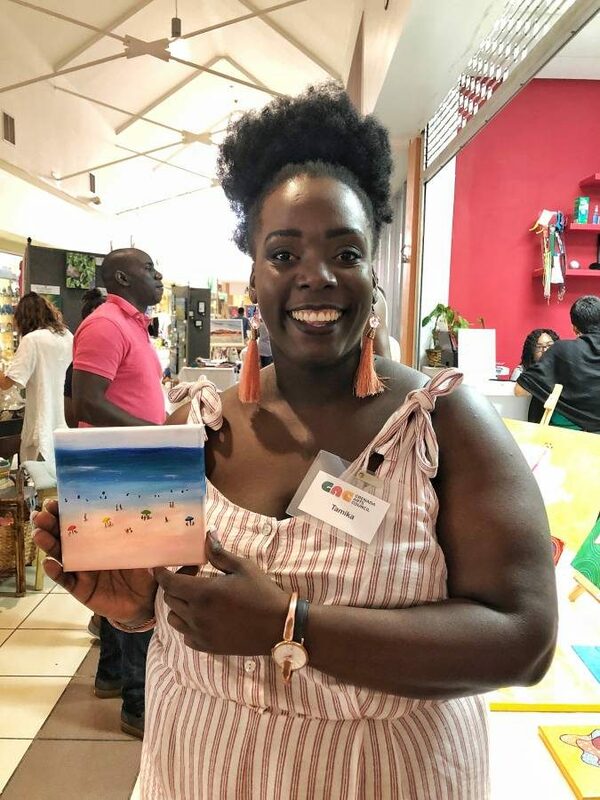 The Grenada Arts Council (GAC) continues in their quest to move beyond the confines of an art gallery to connect directly with potential art lovers and buyers who may be interested in art but are not keen on visiting an art gallery. 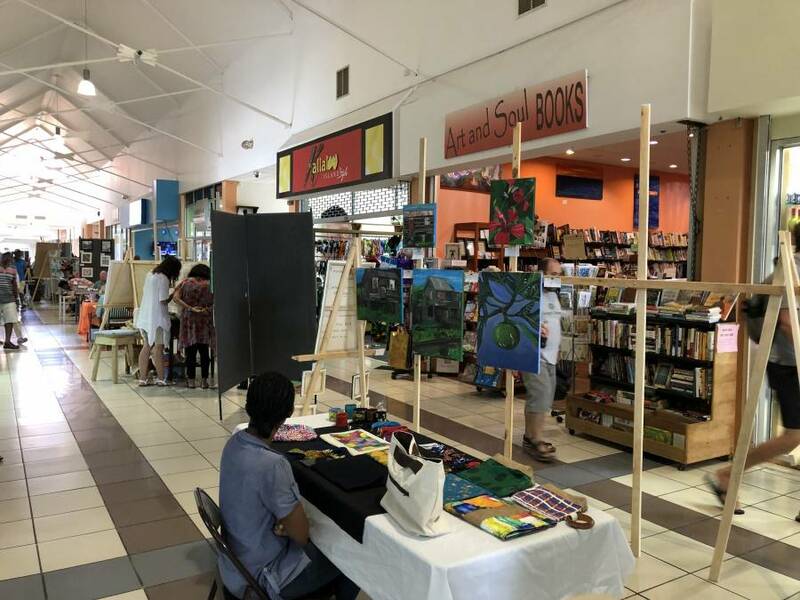 On Saturday, 6 April patrons walking the promenade of Spiceland Mall could not help but notice the pop-up exhibition by the GAC to promote Grenadian art through direct interface with the public. 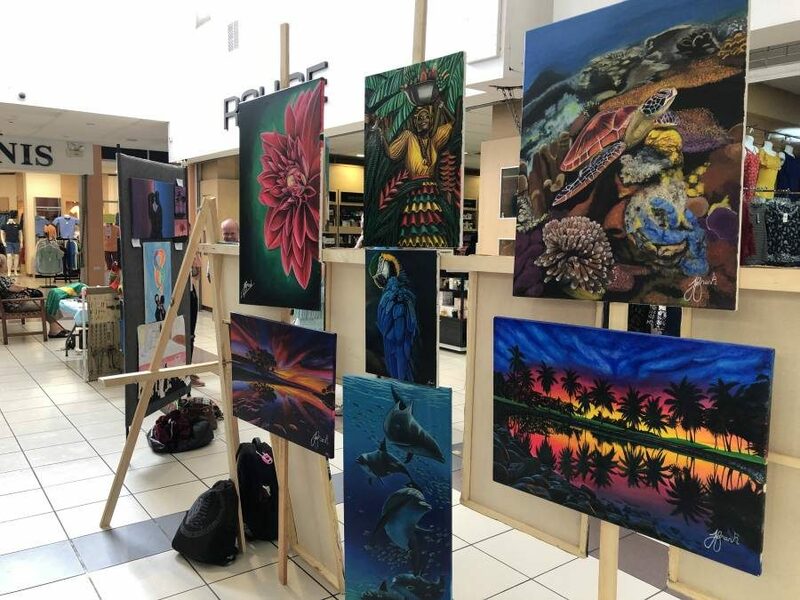 GAC Public Relations Officer Tamika Gilbert used this opportunity to push for the establishment of permanent space for local art. “As an artist, we will love to have a space that we can call our own. Right now, there is not a national gallery that we can say belongs to us. We are using the Waving Art Gallery at the MBIA right now as the closest thing to a national art gallery.” Gilbert said. This is the first of 3 pop-up exhibitions that are expected to be held each year. It was an initiative conceptualised by the new executive of the GAC 4 years ago but it was only in the third year that the executive new saw the need to stage more than just one per year as previously done.